In the past, we have tried to make a distinction between animals which we acknowledge have some value, and others which, having none, can be liquidated when we wish. This standard must be abandoned. Everything that lives has value simply as a living thing, as one of the manifestations of the mystery that is life. There is one fundamentally important point that must be widely understood and accepted if the world's wildlife is to be saved. In addition to the cold, practical reasons for preserving species, we must learn to appreciate wildlife for its intrinsic value, to respect its innate right to exist, and to have humane concern for the suffering of individual animals as well as for the survival of entire species. This is the single most important factor that has been missing from traditional wildlife management and conservation policies -- the ethical dimension, a concern for the well-being of the individual animals as well as for the overall species. A philosophy that ignores this, and cares little or nothing about the suffering of animals, finds itself in a hopelessly contradictory position. It argues, on the one hand, that these are beautiful, interesting, valuable species, that they are of great importance to humanity, and that they must be saved for future generations. But on the other hand, wildlife managers condone, encourage, and even require the killing -- for fun, recreation, and profit -- of the individual animals. But if we erode respect for individual animals, and kill enough of them, the species itself disappears. Over the long term, what is now euphemistically called "sustainable use" of wildlife cannot succeed in protecting and preserving viable populations of wild animals. It will instead reduce their numbers and increase the number of species being subjected to commercial trade. The result will be the virtual or actual extinction of many of them, as has happened in the past, and as is happening now with various species throughout Africa and the rest of the world. This is clearly demonstrated by the numerous precedents and studies cited earlier in this book. In addition to the fact that it simply does not work from a conservation standpoint, the philosophy of sustainable use lacks a moral and ethical underpinning that would give it credibility, integrity, and consistency. It judges animals primarily in economic terms, on their financial worth to humans, ignoring almost completely their feelings, their suffering, and their innate value. It encourages people to kill only a limited number of animals, and to save the rest for their continuing, long-term economic value. But what if the people in an area can make more from killing off the local animals and using their habitat for farming or mining? Under the concept of sustainable use, what philosophical or ethical principles would effectively prevent this from happening? If we are to save the world's wildlife, especially that of Africa, we must learn to appreciate animals for their own intrinsic worth. The other rationales we concoct to persuade people to protect wildlife will never be sufficient by themselves to guarantee its ultimate survival. The bottom line is that wildlife cannot continue to be killed and otherwise used on a large scale for sport and profit without jeopardizing its ultimate survival. If wildlife is to continue to exist, it must be protected and appreciated for its own innate value, and cherished as a precious natural heritage. In the final analysis, if we are to succeed in saving the beauty, diversity, and life of our planet, people must fall in love with the earth and the animals that call it home. Appeals to utilitarian purposes, while valuable, cannot ultimately succeed without a spiritual dimension that is centered on a deep reverence for life. It is time for governments, wildlife officials, and conservationists around the world to adopt and promote a new ethic on the conservation of wildlife, one that includes a humane concern for the well-being of individual animals themselves as well as the species. Promoting conservation by stimulating humane and ethical attitudes towards animals is based on more than emotional and moral concern there are cold, practical ones as well. There is a millennia-long history of human reverence for animals and the natural world. As the world becomes increasingly overpopulated with people, crowding out and killing off other creatures, wildlife's only real chance for survival is to become a source of human pride and reverence. Most species cannot justify their existence or "pay their own way" through hunting, commercial trade, or tourism. Indeed, promoting reverence and respect for animals is incompatible with regarding them as sources of revenue, to be killed and sold. As author Conger Beasley, Jr., has observed, to people who love and respect animals, the rhetoric of sustainable use is "too crass and utilitarian" to be acceptable; "It reduces animals to quantifiable units and ignores the emotional and mythological dimensions many animals have for the people who live alongside them." In spite of the provision that any commercial utilization of wildlife be sustainable, state classification of wildlife and public perception of animals as a resource to be utilized is ominous. The requirement that wildlife justify its existence economically must be seen as a potential threat to the long-term goals of conservation. Such a philosophy clouds the future of fauna conservation in the country. It seems as though the future of wildlife will remain precarious until animals are redefined not exclusively as a resource, but as an irreplaceable heritage whose legitimate owner is the future generations of Botswana. Wildlife begins to face a mortal dilemma the moment a generation understands itself to be its sole proprietor, rather than its provisional custodians. Many Native Americans took into account such true sustainability. 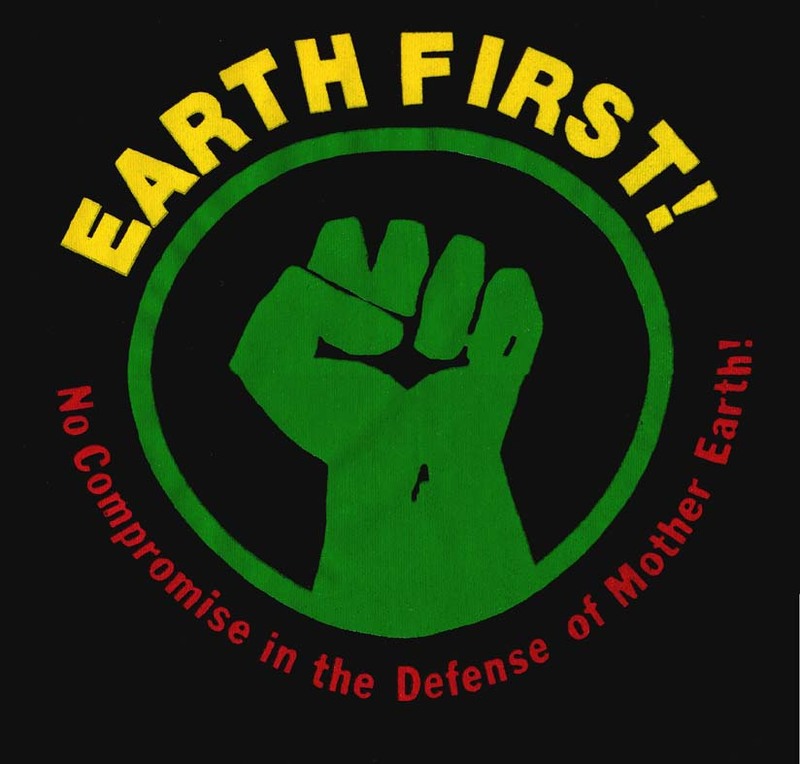 Their attitude is demonstrated by the now widely popularized saying, "We do not inherit the earth from our parents. We borrow it from our children." And the six nations of the Iroquois Confederacy and the Sioux Indians based their decision-making processes on considering the effects an action would have on their next seven generations. At the time of writing , no country in sub-Saharan Africa can boast of a large number of indigenous citizens who, in the light of a rapid decline in wildlife populations, feel a personal sense of loss ... Until middle class indigenous defenders of wildlife emerge, personal involvement in conservation will remain extremely low in the larger public in sub-Sahara Africa. In light of these somber findings, optimism about the future of wildlife in Botswana must be tempered with a sense of uncertainty ... The widespread perception of animals as a means to other ends in Botswana, unless reversed, is likely to continue to drive more species into extinction. Through the ages, from the very beginning of recorded history, humans have demonstrated an interest in, and a respect for, the welfare of animals. Such concern has often had a religious basis or manifestation; reverence toward animals has, from the dawn of civilization, characterized human societies throughout the world. Even today, there is deep within our psyches an arcane yet profound understanding that remembers our being part of nature and living alongside the animals. Some scientists believe that humans instinctively yearn for a renewal of this kinship with nature and our fellow creatures. This "eco-spirituality" is reflected in many of the teachings of the world's major religions, as well as in the spirituality of indigenous peoples, who have traditionally respected and even revered animals as integral parts of their communities and cultures. It is a little-known fact that all of the world's major faiths have, as important parts of their laws and traditions, teachings requiring protection of the environment, respect for nature and wildlife, and kindness to animals. While it is well known that such tenets are part of some Eastern religions, such as Buddhism and Hinduism, there is also a largely forgotten but remarkably strong tradition of such teachings in Christianity, Judaism, and Islam. All of these faiths recognize a doctrine of God's love for all creation, and for all of the living creatures of the world. The obligations of humans to respect and protect the natural environment and other life forms appears throughout the sacred writings of the prophets and leaders of the world's great religions. These tenets of "environmental theology" contained in the world's religions are little known and seldom discussed, much less widely observed or practiced. But the widespread contemporary ignorance of these teachings makes them no less important. Indeed, they are more relevant today than ever, for at a time when the earth faces a potentially fatal ecological crisis, traditional religion shows us a way to preserve our planet and the life forms living and dependent on it. The early founders and followers of monotheism were filled with a sense of wonder, delight, and awe by the beauty of creation and the seeming wisdom of wild creatures. Indeed, nature and wildlife were sources of inspiration for many of the prophets of the Bible, and one cannot fully understand the scriptures, or their teachings and symbolism, without an appreciation for the natural environment that inspired so much of what appears in them. The Bible clearly imparts a reverence for life -- for God's creation, if you will -- which humans were given the responsibility to care for as good stewards. It teaches that if we despoil nature, we are destroying God's handiwork and violating our sacred trust as its caretakers. There is nothing in the Bible that would justify our modern-day policies and programs that despoil the land, desecrate the environment, and destroy entire species of wildlife. Such actions clearly violate God's commands to humans to "replenish the earth," to conserve natural resources, and to treat animals with kindness, as well as subverting God's instructions to the animals to "be fruitful and multiply" and fill the earth. In contrast, there are various laws requiring the protection of natural resources to be found in the Mosaic law, including passages mandating the preservation of fruit trees (Deuteronomy 20:19, Genesis 19:23-25); agricultural lands (Leviticus 25:2-4); and wildlife (Deuteronomy 22:6-7, Genesis 9). The Bible often refers to the impressive intelligence of wild creatures, such as in Jeremiah 8:7-8. Proverbs 6:6-8 and 30:24-8, Numbers 22:22-35, and Isaiah 1:3. Numerous other Biblical passages extoll the wonders of nature and teach kindness to animals -- even including the Ten Commandments, which require that farm animals be allowed to rest on the Sabbath. Some Eastern religions are even more emphatic in advocating or requiring respect for animals. Both Hinduism and Buddhism are well known for teaching concern and compassion for all living creatures and for the sanctity of nature and the earth. Such precepts are the cornerstones of these faiths. What is not as widely appreciated is that the Muslim religion, in its laws and traditions, contains extremely strict prohibitions against cruelty to animals and destruction of the natural environment. The Prophet Mohammed taught that animals and natural resources, such as trees, should always be treated with reverence, and that respect for nature is extremely important. Such principles are, unfortunately, not as widely practiced as they are preached; but there has been some useful application of them. Several groups worldwide are working to apply Buddhist ideals to current problems facing animals and the environment. In October 1985, Buddhist leaders from Thailand and Tibet announced that they were joining forces to try to halt the destruction of the natural environment, calling on Buddhists everywhere to join the campaign. These efforts have been endorsed and supported by the Dalai Lama and other Buddhist leaders worldwide. Buddhist teachings emphasize the importance of coexisting with nature rather than conquering it. Devout Buddhists admire a conserving lifestyle rather than one which is profligate. The very core of Buddhism evolves around compassion, encouraging a better respect for and tolerance of every human being and living thing sharing the planet. Wherever Buddhism is influential studies will usually show some direct benefit for the natural world. In Sri Lanka, predominantly Buddhist, crowded by Western standards, wildlife has not been virtually eliminated as it has been in many parts of the world. The reason, according to researchers, is the country's largely religious and devout population. Formal protection generally results from government action, but such actions, it is felt, would never have made much effect if they were not readily accepted by the people. Successful conservation there is based on deep philosophical convictions. Open-billed storks would be extinct in Thailand but for the fact their last remaining breeding ground is within the sanctuary of this temple. Ecologists point out it is scientifically important to save this species of bird, whose sole diet is a local, rice-devouring species of snail. Without the storks, the snails would proliferate, then pesticides would be brought in, and an unnecessary, poisonous cycle would go into effect. Buddhist precepts of personal and social conduct can take much of the credit for saving the open-billed stork in Thailand ... It is likely that, like the open-billed stork, much of what still survives of the natural world here is linked, in varying degrees, to the influence of Buddhism, the philosophy's focus on awareness, attitudes, and actions which should never harm, and ideally should actively help, all life on earth. In order to save the rain forests of northeast Thailand, Buddhist monks have even "ordained" trees, clothing them in the sacred orange robs of holy men in an effort to make the cutting of a tree tantamount to the unpardonable sin of killing a monk. Many of India's most successful and prosperous citizens are adherents of Jainism, a religion so strict in its avoidance of harming living creatures that Jainist monks, when walking outside, wear masks over their mouths and sweep the paths in front of them to avoid inhaling or crushing insects. The Jains have built animal sanctuaries and hospitals throughout the country, where stray and injured camels, cows, water buffalo, pigeons, parrots, and other creatures are cared for. With some 2 billion Buddhists, Hindus, and Moslems in Africa, Asia, and the Middle East, there is obviously great potential for stimulating a spiritually based appreciation for nature and wildlife in much of the Third World. Many other religions, including the Baha'i faith and those of Native Americans, Amazon Indian tribes, and other indigenous peoples, stress the sanctity of nature, and the need to conserve wildlife, forests, plants, water, fertile land, and other natural resources. If I decide to accept your offer to buy our land, I will make one condition. The white man must treat the beasts of this land as his brothers. I am a savage and do not understand any other way ... What is a man without the beasts? If all the beasts are gone, men would die from great loneliness of spirit, for whatever happens to the beasts also happens to man. One of our best opportunities to preserve wildlife and wilderness, and to gain the support of local people in this struggle, is to respect, promote, and help support the reverence toward animals and nature of faiths and cultures the world over. We do not have to invent new religions or philosophies in order to save the planet; we just have to return to the roots of our old ones. Although we in the West have lost much of this traditional spiritual appreciation of nature, we are now learning how dangerous it can be to disregard and disrespect the importance of the natural environment. We hereby warn all humanity of what lies ahead. A great change in our stewardship of the Earth and the life on it is required if vast human misery is to be avoided, and our global home on this planet is not to be irretrievably mutilated. This statement was issued on November 18, 1992, by 1,575 of the world's top scientists from sixty-nine different countries, including 99 Nobel Prize winners in the sciences, and representing, in the words of one participant, "the largest group of senior scientists from around the world to ever speak in unison on a single issue." Their warning goes on to observe, "Much of this damage is irreversible on a scale of centuries or permanent ... If not checked, many of our current practices put at serious risk the future that we wish for human society and the plant and animal kingdoms, and may so alter the living world that it will be unable to sustain life in the manner that we know." Many of earth's vital resources are about to be exhausted... Natural ecosystems...are being irreversibly degraded...we are dismantling a support system that is too complex to understand, let alone replace, in the foreseeable future... Earth is destined to become an impoverished planet within a century if present trends continue. Today, there are about a dozen critical environmental problems we face, any one of which could be devastating to society -- and all of which are becoming increasingly unmanageable. Unfortunately none of the major environmental problems is being adequately addressed, and all are getting worse. There is a growing consensus among top scientists and experts that the combination of these problems is leading us to disaster. ...the ongoing human destruction of the natural environment is damaging, permanently, irreversibly, and perhaps fatally, the earth's ability to support life. If we do not act quickly to halt this devastation, and begin to repair what damage we can, humans and most other life forms will not have a long-term future on the planet. Human activity has done more damage to the planet in the last 50 years than in all of the rest of recorded history... And if we continue these policies for the next decade or two, we will destroy essential ecological and agricultural systems on which we all depend. A major problem in our environmental crisis is the massive destruction of wildlife and its habitat. According to the best scientific estimates, each year we condemn to extinction -- in vanishing tropical rain forests alone -- one species of animal, bird, or plant every day. In destroying and persecuting animals, we do more than harm these creatures; we harm ourselves as well. Cruelty to and abuse of animals do not just reflect the indifference of individuals, corporations, and governments. If tolerated, approved, and permitted to continue, they become the hallmarks of a society -- a society whose values are selfish and short-sighted; whose policies are inhumane and unsustainable; and whose inheritance bequeathed to future generations will be empty. But I believe there is hope for our planet, for our wildlife -- and for ourselves. I see hope that we are beginning to acknowledge that other creatures are, like ourselves, capable of intelligently experiencing pain and misery. We are starting to understand that animals are deserving of some consideration that would spare them, as much as possible, undue abuse and suffering. Our best hope, I think, lies with those persons who, at least in their better moments, are able to view themselves, and humans in general, as only one part of a very complex and marvelous world, rather than as its master. It lies with those who have chosen to accept the proposition that all life has intrinsic value and is therefore deserving of some of those same considerations we generally reserve for humankind. It lies with those whose vision for a better world is not restricted to a better life for themselves, but includes the welfare of their fellow inhabitants of the globe. And it lies with those who understand that being truly human means being truly humane, and that the wanton and needless destruction of other creatures damages ourselves as human beings. The most heartening -- indeed, amazing -- thing is the extraordinary progress we have made, against all odds, over the last two decades in securing protection for so much of our wildlife and its habitat. For this, we can primarily thank the many hard-working, dedicated people in the wildlife protection movement who have persevered, even when it seemed hopeless, against well-funded, well-connected interests, to fight the good fight. But there is still much to be done, so we will continue this struggle until it is won. And someday, it will be won, because humans will eventually realize that ultimately, we have no choice. If our civilization is to survive, we must protect and save those treasures of nature that make our lives pleasant, prosperous -- even possible. For that which befalleth the sons of men befalleth beasts, even one thing befalleth them: as the one dieth, so dieth the other, yea, they have all one breath; so that a man hath no preeminence above a beast. If humans and wildlife will share the same fate -- and our best scientists tell us it is increasingly obvious that we will -- we must act quickly and do all that we can to ensure a secure future for ourselves, and for those with whom we share the earth. And we cannot rest until the job is done. 1. Ann Cottrell Free, ed., Animals, Nature, and Albert Schweitzer, (Washington, D.C.: Flying Fox Press, 1988). 2. Jan Hartke, Washington, D.C., personal communication, 6 July 1994. 3. Conger Beasley, Jr., 'Live and Let Die," Buzzworm, July/August 1992, p. 53. 4. A. Richard Mordi, Attitudes Toward Wildlife in Botswana, (New York: Garland Publishing, 1991). 7. Lewis Regenstein, Replenish the Earth: The Teachings of the World's Religions on Protecting Animals and Nature, (New York: Crossroad, 1991), pp. 19-44. Chatsumam Kabilsingh, 'How Buddhism Can Help Protect Nature," Tree of Life: Buddhism and Protection of Nature (Buddhist Perception of Nature, Hong Kong, 1987), p. 7. 12. Lewis Regenstein, Replenish the Earth, pp. 229-32. "This Earth Is Sacred," Environmental Action Magazine, 11 November 1972, p. 7. 14. "The World Scientists' Warning to Humanity," 18 November 1992; as cited in Lewis G. Regenstein, Cleaning Up America the Poisoned, (Washington, D.C.: Acropolis Books, 1993), P. 12. 16. Edward 0. Wilson, "Is Humanity Suicidal?" The New York Times Magazine, 30 May 1993. 17. Paul G. Irwin, Foreword to Lewis G. Regenstein, Cleaning Up America the Poisoned, pp. 7-8. Walter H. Corson, ed., The Global Ecology Handbook, The Global Tomorrow Coalition (Boston: Beacon Press, 1990). Council on Environmental Quality, The Global Environment and Basic Human Needs, Washington, D.C., 1978. This article is extracted from Animals in Peril, John A. Hoyt, Avery Publishing Group, Garden City Park, New York, 1994.